What Lurks Behind the Mask? As summer comes to an end and Fall sets in, Halloween becomes the next big event on many calendars. It takes time and effort to choose and prepare the perfect costume for this legendary Fright Night. Whilst some pride themselves on top make-up skills, others will find a mask is the perfect finishing touch to their outfit. Masks are no costume cop-out, in fact they have been used to disguise and entertain for thousands of years. In the past masks have often been used as part of rituals and ceremonies, where performers and practitioners impersonate creatures of the wild such as wolves, bears or birds, or perhaps gods and spirits to tell tales or invoke good harvests. Masks have always held a magical, shamanistic fascination for humans. Yet we are becoming ever hungry for more and these old creatures of fear no longer inspire us. Having been used to protect people in war, cover the faces of the dead and to portray evil spirits and gods it is no surprise that masks made their way into the world of modern horror. The scariest masks are often the simplest. 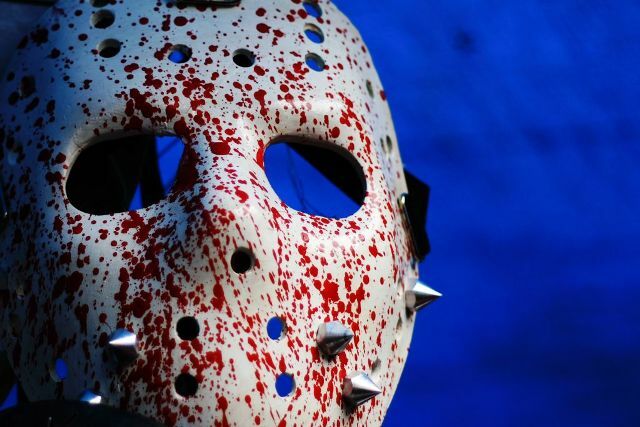 Jason’s hockey mask from the Friday the 13th series is iconic and of course there is Michael Myers mask in the first of the movie trilogy Halloween from way back in 1978. The button-eyed sack worn by Dr Decker in Nightbreed (1990) is another disguise that is hard to forget. What is it that makes these masks so memorable and so darn scary? The people who wear them are pretty fear inducing themselves of course and their actions would be scary enough alone, yet the mask adds another layer of creepiness to these messed-up individuals. The fact that these disguises cover any sign of expression or emotion makes the gruesome crimes of the usually silent attackers all the more sinister, unsettling and above all, confusing. They appear to have no emotional response, be it pleasure, distress or horror, to their acts of violence and that gives these characters a cold, detached and inhuman feel. 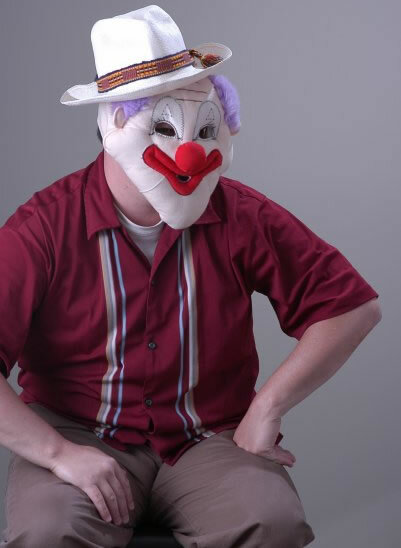 They are human, the audience is 95% sure of that, yet the masks hide some of the key forms of communication and human interaction giving their victims, and by-proxy the audience, uncomfortably little to interpret, giving no opening to communicate or hope of reasoning with the attacker. It is not, however, simply a lack of expressed emotion that can have us cowering behind our cushions, extreme or out-of-place, perhaps even inappropriate expressions are also deeply unsettling. If asked many answer that they find clowns pretty creepy and the horror industry has capitalized on that. There is the Joker in the Batman series and Penny Wise from Stephen King’s IT (1990) and just about every Amazon bargain bucket film which followed on its coattails afterwards. The forced and unbalanced jollity of the joker and the incongruity of Penny Wise’s friendly appearance hiding a vicious row of teeth turn these supposedly comical and friendly faces into objects of disquieting horror. The Scream movies use the now unmistakable open-mouthed mask in a very similar way. The silent scream echoes the cries of the psychopath’s victims as he (or she) cuts a swathe through their terrified targets. Yet there is not one shred of humanity in this disfigured caracature of a face. The result for these types of mask is equally inhuman as the expressionless masks, but with the unsettling effect of presenting a fixed and often incompatible reaction to the unfolding events. Sometimes, the only thing that will really hit the spot is a mask that simply looks hideous. 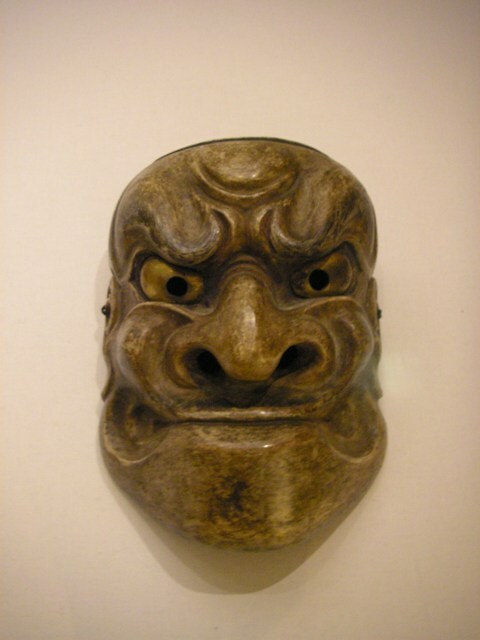 Although some are not strictly masks, they are worn in much the same way and have the same desired effect. The burnt face of Nightmare on Elm Street’s Freddy Krueger, Pinhead’s… well, pins from the cult movie franchise Hellraiser and the mask of human skin worn by Leatherface in the Texas Chainsaw Massacre (1974). These masks depict suffering and horror in, and of, themselves. They are horrific irrespective of the actions of their wearers. Those actions just add another dimension and more layers to the scaryness of these characters. In the case of Krueger and Pinhead we are constantly reminded that they are and have suffered. They are unattractive and uncomfortable to look at and their mere presence on the screen adds another shudder to the movie. 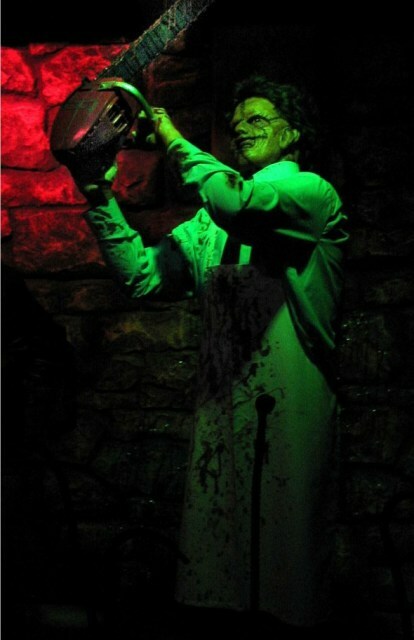 In the example of Leatherface, his mask shows the depths to which his humanity has been lost, promising that he will take his violence to higher and higher levels. A mask could hide anyone, or any thing. A horribly disfigured face, a friend or family member, multiple people masquerading as one. It is a truly horrific concept and an incredibly valuable tool in the arsenal of horror craft. This entry was posted in Masks, Models, & Props!, Monsters and tagged Clowns, FRIDAY THE 13TH, Horror Masks, Jason Vorhees, Leatherface, Nightbreed, Texas Chainsaw Massace. Bookmark the permalink. ← Dinosaurs Stomp the Milwaukee Zoo! Excellent synopsis of horror movie monsters and the masks that represent them. I think people usually don’t think about the suffering the monster endured, they just think that the masks are meant to scare. Good point!